Lite-On has demonstrated its first SSD that comes in EDSFF ‘ruler’ form factor, showing off the new drive at FMS earlier this month. The drive uses a controller from CNEX Labs and is designed primarily to enable Lite-On’s customers to start working with the new standard. As a result, Lite-On has not announced any commercial plans for the new SSDs. Lite-On’s experimental SSD comes in the EDSFF 1U Long form-factor, which is a bit surprising as most companies which demonstrated EDSFF drives at FMS experiment with the 1U Short these days. The SSD is based on an undisclosed controller from CNEX Labs, and which supports both industry-standard NVMe and the upcoming Denali software-defined interface (previously known as Open-Channel SSD). The drive carries 16 TB of Toshiba’s BICS3 3D TLC NAND memory. 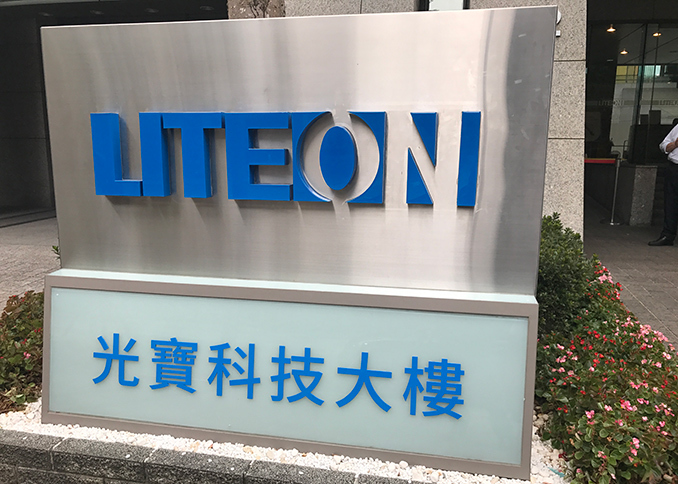 Meanwhile, Lite-On says that capacity of its 1U Long SSD can be increased to 80 TB when outfitted with 3D QLC NAND as the controller fully supports this type of memory. Besides, the drive carries capacitors for a power-loss protection. The SSD maker does not disclose performance numbers for its 1U Long drive, but we know that it uses a PCIe 3.1 x4 interface with a maximum theoretical bandwidth of around 3.94 GB/s. Meanwhile we know that CNEX has controllers supporting up to 1.5 million read IOPS in its arsenal, so it is reasonable to assume that the EDSFF prototype drive that Lite-On demonstrated at FMS is rather powerful. The EDSFF 1U Long form factor brings together performance and density, so at least theoretically all kinds of Lite-On’s clients can use the experimental drives for their applications assuming that they are interested in ‘ruler’ SSDs. Since the EDSFF is still in development, it is hard to tell when commercial servers featuring the new drives will ship. Meanwhile, operators of large cloud datacenters might adopt ‘ruler’ SSDs well ahead of mainstream servers. That said, it is about time for companies like Lite-On to roll out prototypes of EDSFF SSDs. 80TB? That is 2.5PB per U, 2.5x the density of Intel's Ruler. 105PB per Rack. This is insane. And we expect to have 8 - 16x density improvement by 2025? That is 1EB per Rack! Compared to an estimate of 480TB HDD per U in 2025, or 20PB per Rack. That is 50x difference. The HDD estimate were from WD, MAMR 40TB HDD by 2025. Lite-On's OEM SSD's are excellent. Most of them are essentially reference designs of Micron SSD's, using the same Marvell controllers. Lite-On claims to develop all their firmware in-house, but that probably means they are just taking the vendor firmware and keeping it as-is, such as the case of the ZETA consumer SSD's that use a completely vertical Silicon Motion reference design down to the cache, NAND and PCB. So basically they are taking their partner channels, buying power, and presence in OE integration, and applying that reach to other products, such as SSD's. Yeah, a good bit of time ago, Samsung used to make such terrible HDDs that I nickednamed them "Samchung" - "chung" as in the sound it makes when the internal head hit something or the sound when I have to chunk them into the garbage. While Samsung is mostly out of the HDD market, their HDDs became decent performers over time. Currently, they are one of the leaders, if not the outright king of the hill, in SSDs.